It was a day that did not promise a great deal. Storms were forecast, but conditions were only marginal, CAPE around 1600 did not reflect the other problems - lack of moisture being foremost. None the less we targeted the southern tablelands. I had given the area south from Goulburn a chance as that area would see weak wind convergence boundaries. Firstly between dry west winds and a NE seabreeze, than later a SE change working up the coast and penetrating to the east side of the divide. 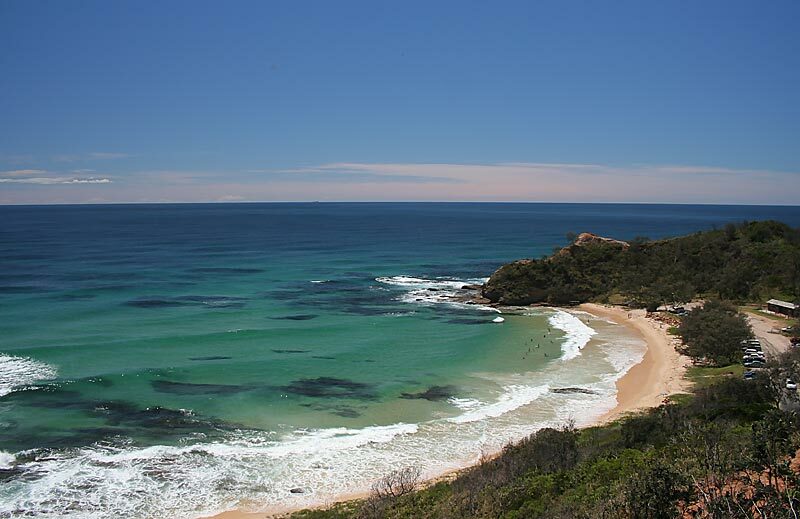 Just outside Goulburn and the temperature which back at the coast was a mild 23C-24C had now climbed to around 30C, great except for the dive in dewpoints. 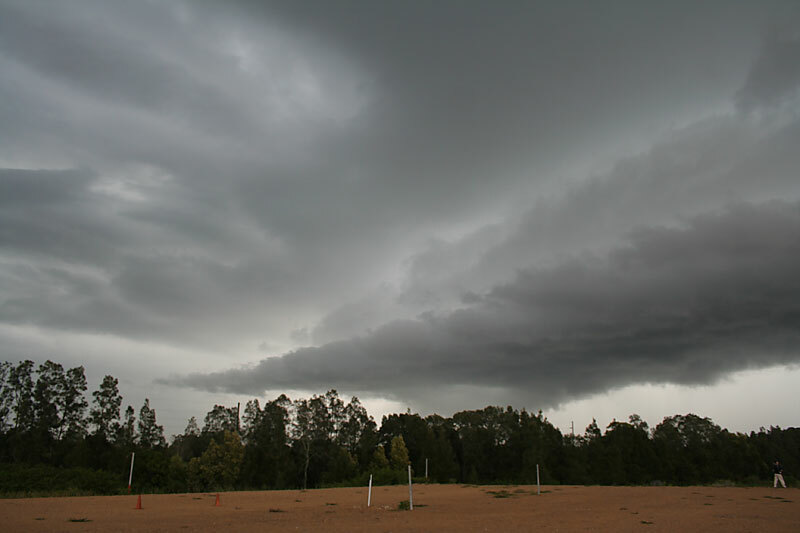 None the less there was a line of very messy mid level cloud and anvils to the south. I saw a fresh bubble of convection rise up through the mess and knew at last we had a chance. 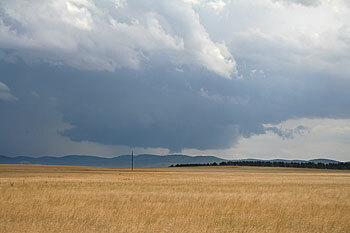 South of Goulburn and we finally saw a rain free base to our west. The storm was moving N/NE very rapidly, whilst mid levels and anvil was streaming off to the east, along with rain. We found a W/SW road option that got us closer to the storm. It was only then that we appreciated just how fast this storm was moving. 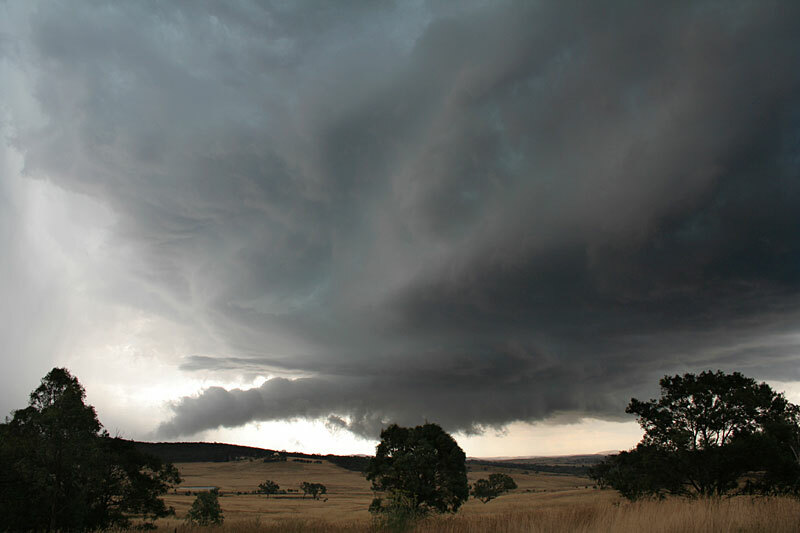 Never at any stage was there rotation, however there was basic organisation in the storm structure with the updraft core being separated from the rain area. 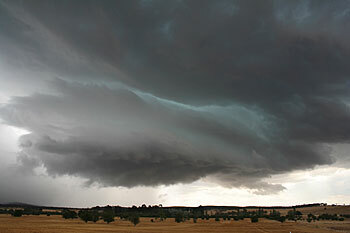 The storm certainly was not a supercell, and was pushed along by bursts of solid outflow. 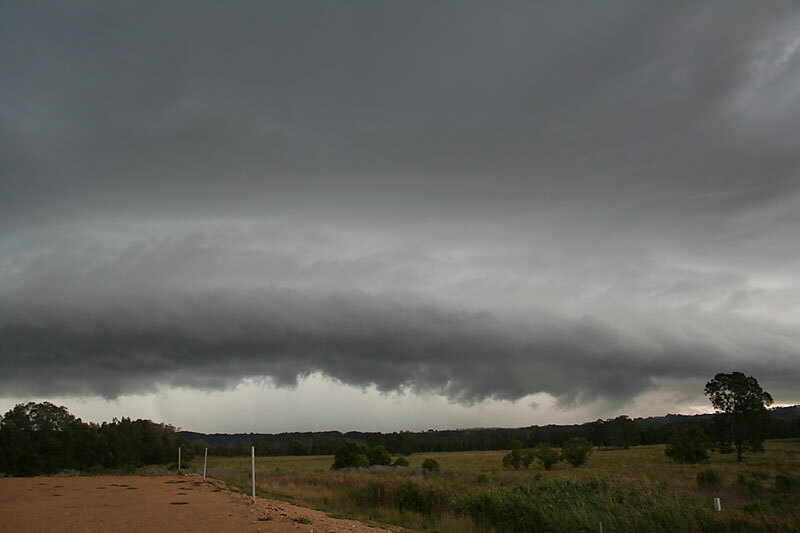 Over the 30 minutes or so the storm went through several stages were the rain/hail core would dump, and the inflow / outflow interface move N/NE rapidly, only to semi stall and briefly organise again, before repeating. 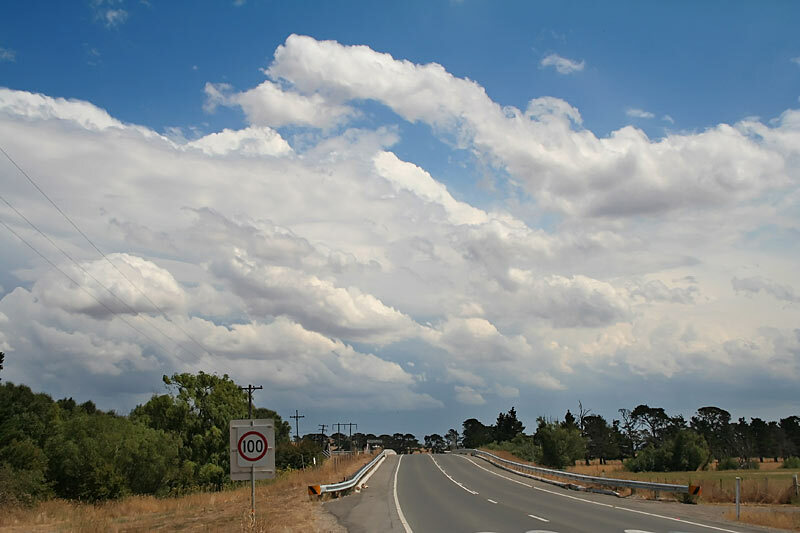 We finally were back into the city of Goulburn, from here we had two options, north to Taralga, or NE back up the freeway. My gut feeling said north, back I gave in to a group decision to head NE. I realised my mistake and headed back into Goulburn, by the time we got back the storm had already passed to the north. 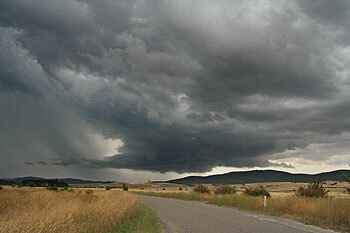 There was very minor flash flooding and hail laying in Goulburn. Some of the hail had been heavy enough to accumulate on rooftops, as if it has snowed. 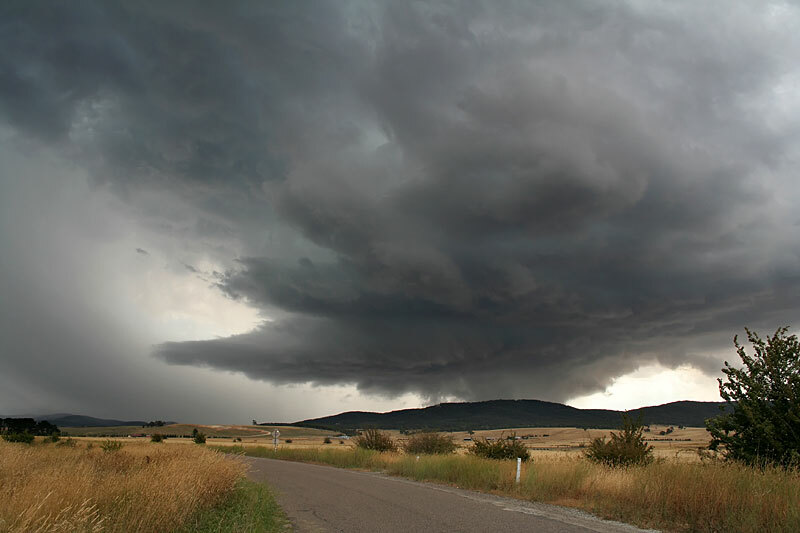 We tracked the storm north towards Taralga, briefly entering the core which contained some hail to 2-3cm, not quite large enough to dent cars. The storm was now on its last legs and with a kink in the road taking us out into sunshine and stable air we called it a day.